Took the day off and spent most of it working on the snake terrarium. Watching him pace (hmm, that doesn’t seem like the right word for a snake) his cage today made me particularly sad and motivated me to get about 95% finished. He could actually move in now – the only things missing are the decorative frames around the side vents. Overall, I’m pretty happy with the terrarium. There are a number of things that I would do differently next time, but some things will definitely stay the same. For example, I used plexiglass for the front which made the whole thing significantly lighter. The plexiglass was about $20 more expensive but definitely worth it. And here’s the (near) finished terrarium. Next time I post about this, we’ll be completely done and have the snake moved in. In other snake news, K caught a picture of an eastern hog nose in its red phase in our front yard last week. S/he’s an absolutely beautiful snake. 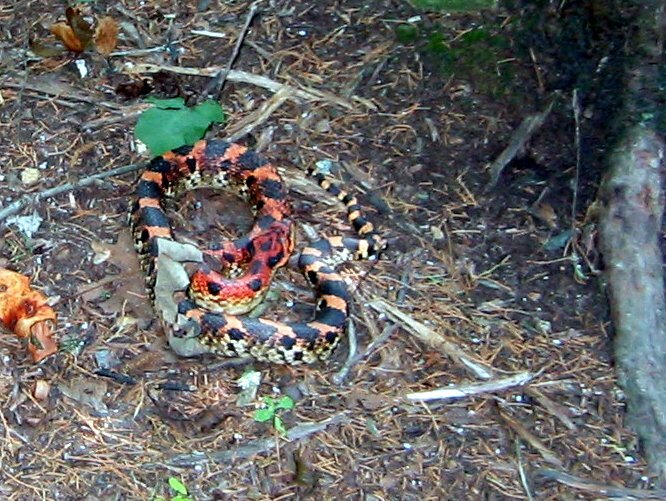 In case you can’t quite tell from the picture, the snake is extremely red at the front and it gradually fades to yeallow at the tail. Your science tidbit for the day: the eastern hog nose eats the occassional small mammal, but is particularly well adapted to eating frogs and toads. As you can imagine, the amphibians don’t like being eaten and have a tendency to inflate to prevent a snake from swallowing them. The eastern hog nose has its fangs in the upper back of its mouth. These fangs are used to paralyze and “deflate” a swollen frog to enable swallowing. The eastern hog nose apparently also plays dead if it can’t drive off predators. When it plays dead, it goes limp and sticks its tongue out – which, IIRC, is how I played dead when I was five. Coaches cheap oakleys can mix up the drill by shouting out body parts that the players will have to start circling with the football; they can also reverse the direction that the ball is traveling by calling, “reverse”. Changing the direction of the football ensures that they don’t form a habit, and that they remained focused on the ball and controlling the movement.Overall CBS sports coverage of the NFL is up 10% from this time last year, the NFL toady is up 4%, both of which are the best increases among all NFL broadcasters, and through this past Sunday more people have watched NFL games on CBS than any other network. Meanwhile the sports advertising marketplace continues to be extremely strong with NFL CPM’s up double digits year over year, having the sweet scale but all the big AFC games through AFC championship is very exciting, at this pricing we will be seeing benefits, from now through the end of January ’08.ANKLE DAMAGE: Wilson was hobbled after he was sacked by Suh for a 13 yard loss. As he was going down, Suh clipped the back of Wilson’s foot and caused the foot and ankle to turn awkwardly. Wilson limped through the possession before getting examined on the sideline and having his foot and ankle taped. He finished 27 of 43 for 258 yards, one touchdown and one interception.SULLIVAN: Fear of regret was on a lot of minds here. These guys dropped all kinds of things to be here. I talked to one running back who’s an English teacher and had to be back at school the http://www.cheapjerseysselling.com next day. And another player was on vacation with his fiancee when he found out about the combine, and immediately flew home to train.Afraid of accepting an invitation to a Super Bowl Party this year because it might not be a family friendly atmosphere? Here are some “simple, fun, frugal, and wholesome” party ideas to have at your own party or to bring along Oakley Sunglasses Outlet with you to use at another party. Also included are some links to get more ideas.The Cincinnati Bengals are cheap jerseys 7 5 straight up and 6 5 1 against the spread versus just the 29th ranked NFL Strength of Schedule this season. They have won and covered the number in four straight games. With the dramatically improved defense as of late, that currently oakleys outlet features what we would rank as the best four man defensive line in the NFL, the UNDER has also covered in all four of those games. In our NFL Power Rankings that simulate every team against every other team, Cincinnati currently ranks 11th overall. Green, the Bengals are not elite nor are they well below average in Cheap Football Jerseys any facet in the game. They rank between ten and twenty (out of 32) in all six of our strength of schedule wholesale Jerseys efficiency metrics. Against an elite team like Houston or San Francisco that does not have many weaknesses, this can be an issue. Against a good, yet very flawed team like Dallas, this is actually a strength (especially with the addition of home field advantage to the equation). This entry was posted on Thursday, August 17th, 2006 at 9:39 pm	and is filed under Personal, Photography, Wildlife Rehab. You can follow any responses to this entry through the RSS 2.0 feed. Both comments and pings are currently closed. 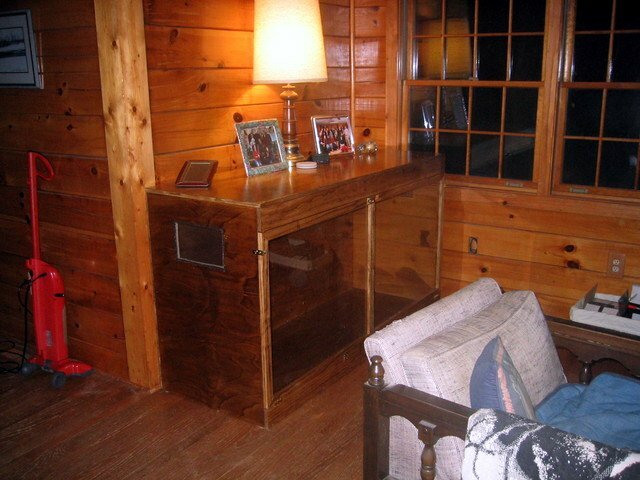 Great looking piece of furniture–and to think it will house a snake as well.